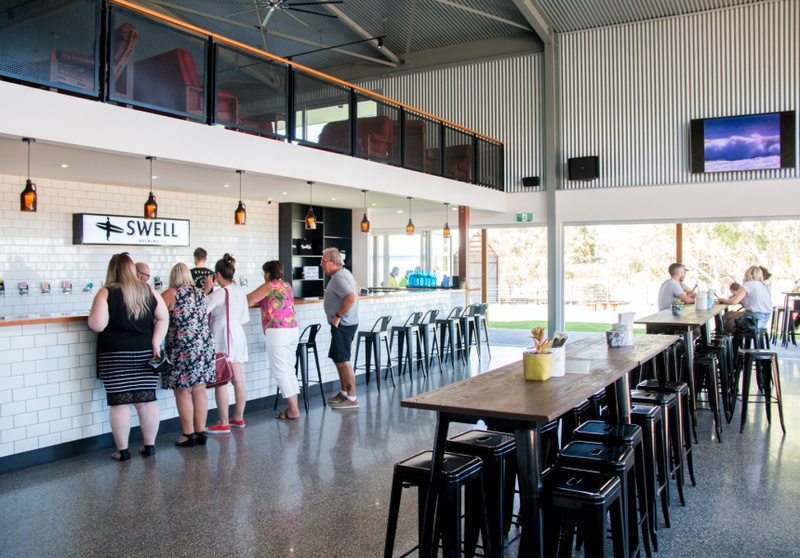 The long anticipated brewshed from McLaren Vale brewery Swell opened its giant doors last week, with 16 taps and a locally focused pub menu. Swell’s new taphouse has been a long time coming. 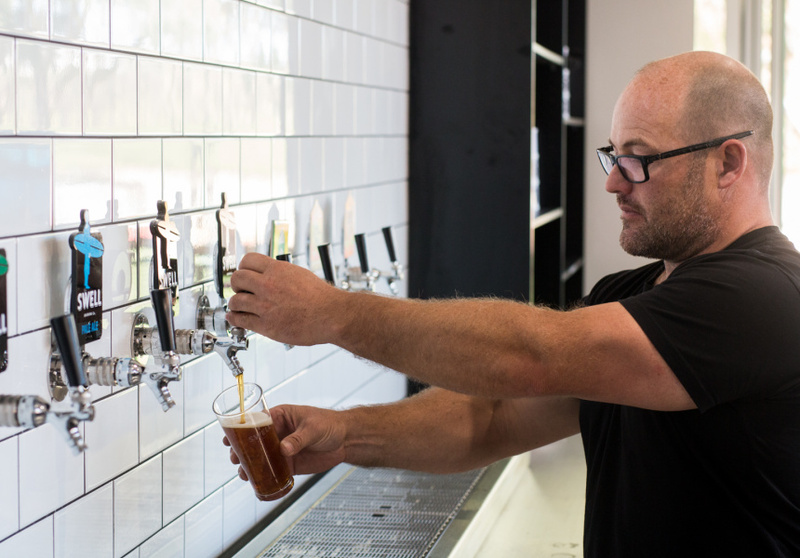 Brewer and owner Dan Wright and his wife Corrina (of McLaren Vale winery Oliver’s Taranga) have been chipping away at the project for the better half of a decade. The taphouse finally opened last week – and you can’t miss it. The enormous shed sits on Oliver’s Road, right near the d’Arenberg Cube, with 950 square metres of front lawn overlooking the surrounding vineyards. Inside, the two-storey space offers a 16-tap bar and uncomplicated pub grub. Dan’s brewery dog Mikey welcomes you as you enter. For now, though, you can kick back on the lawns, grab a pint and enjoy the locally inspired menu. In the kitchen is chef Todd Steele, who’s well known in the region for several local projects, including his former role as head chef of the Victory Hotel and his regularly booked-out catering business. “To have Todd here, and his chefs, is amazing,” says Dan. 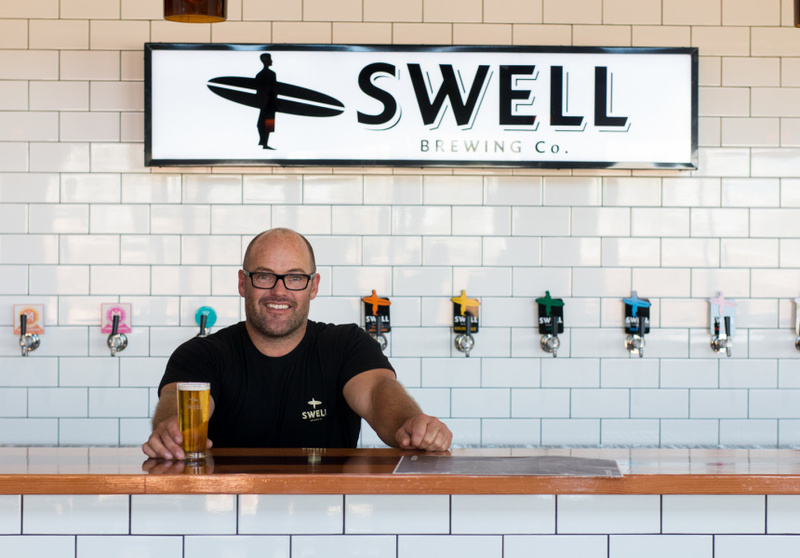 To sip, you can sample any of Swell’s core range, including their popular Golden Ale, Cloudy Apple Cider or North Shore IPA. There’s also Oliver’s Taranga wines, and a collection of other local beers on tap, too.